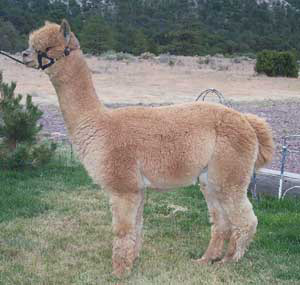 Helios is a new 3/4 Peruvian male out of Amador PCA and he also seems to be following in his father's footsteps. From his perfect conformation to the density, crimp and coverage of his fiber, we expect great things to come out of this little guy. Fee SOLD! Congratulations to Michael Valichnac & Laurie Whittle of Pinetop, AZ.